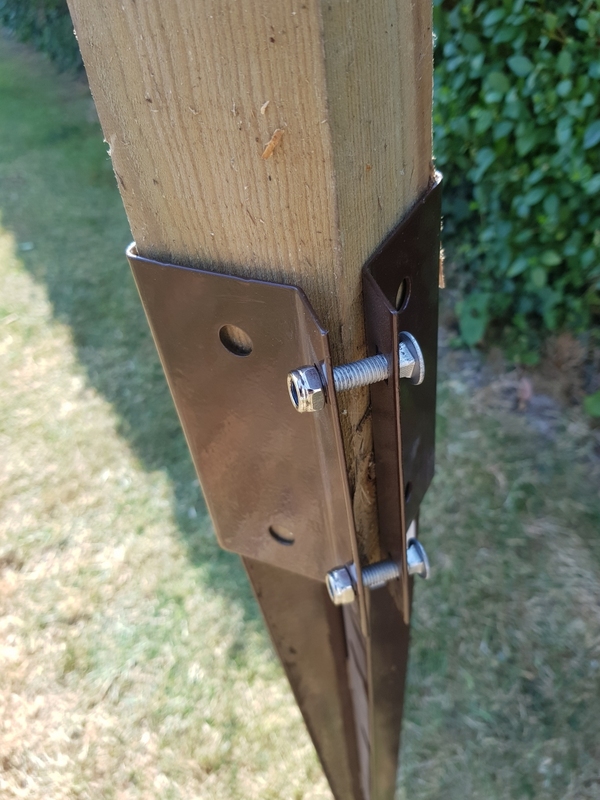 Heavy-duty drive in steel fence post support spike for use with all types of square wooden fences. 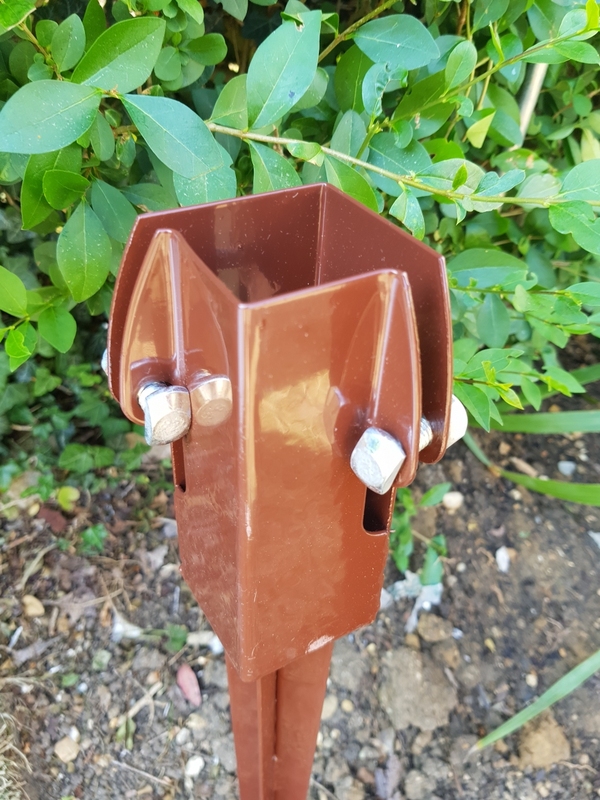 This square bolt-grip fencing spike is designed for a 50x50mm (Approx 2"x2") square sawn treated timber fence posts. 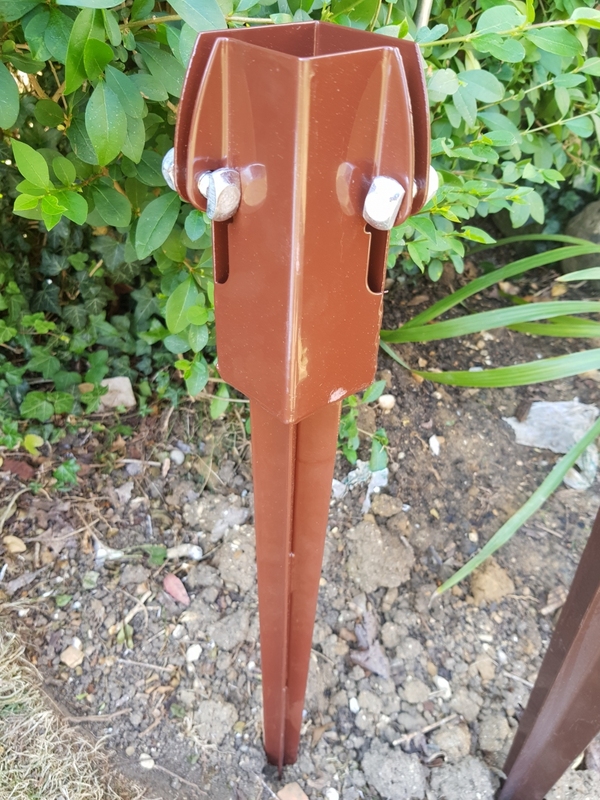 The post has a 450mm long spike that is banged into the ground to support the post 50mm square fencing post. 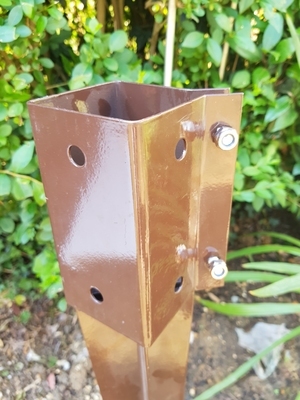 The fence spike has a bolt grip so that the post is held tight into the 150mm deep recess which keeps it off the ground protecting it from insect, fungal and water damage. 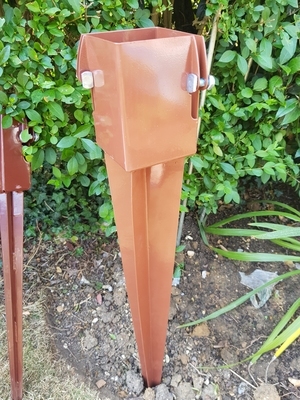 The steel post spike is powder coated protecting it from premature rust / corrosion. 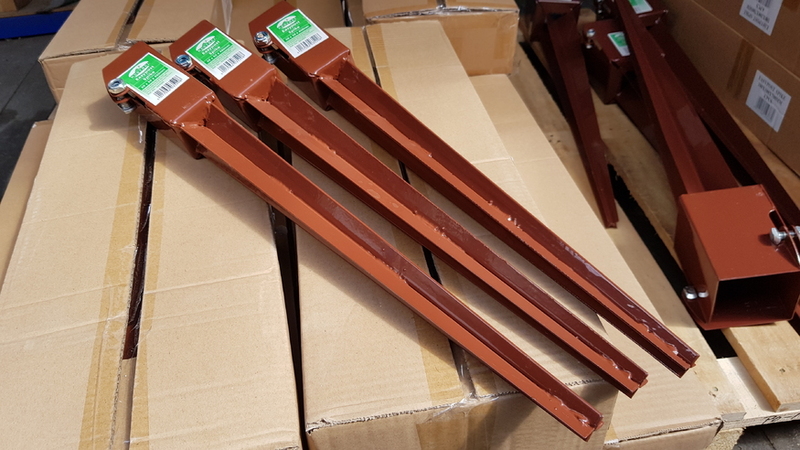 We also stock these spikes in for 100x100mm and 75x75mm square posts.